Probably the most highly touristic spot of the island with regard to aesthetics and amenities. It was built after the 1956 earthquake in order to cover the high touristic needs. Kamari has one of the most beautiful and well-organised beaches on the island (particularly the side towards the cliff), awarded with the blue flag. 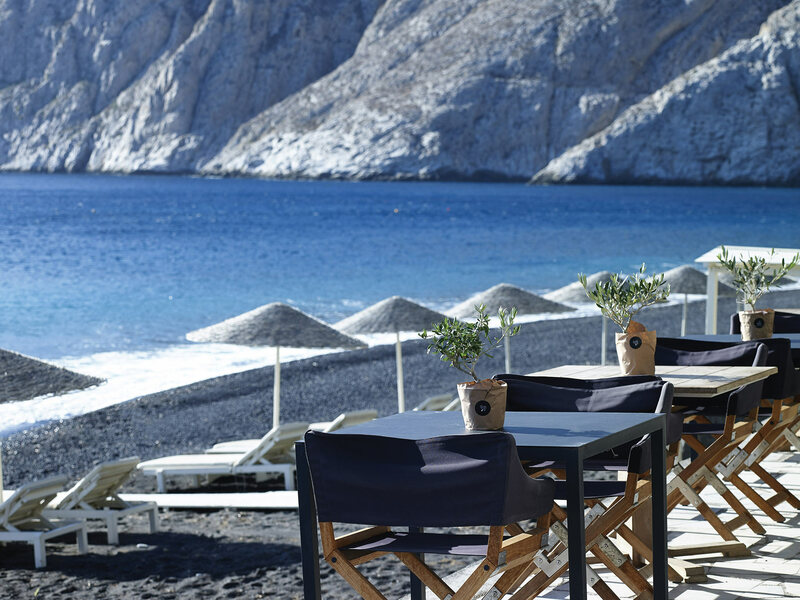 Black sand, waters sports alternatives and many beach chairs compose the setting. There are also numerous food and drink options here, as well as the only open air cinema on the island. Following a path high in the mountain, you can reach the church of Zoodochos Pigi to quench your thirst with water straight from the spring located in the cave.